To mark the two-year anniversary of NASA's New Horizons' historic fly-by of the Pluto system on July 14, 2015, the agency has released high-resolution natural-colour images of Pluto and its largest moon Charon. These colour images were created from refined calibrations of data gathered by New Horizons' Multispectral Visible Imaging Camera (MVIC). The processing created images that approximate the colours that a human eye would perceive. 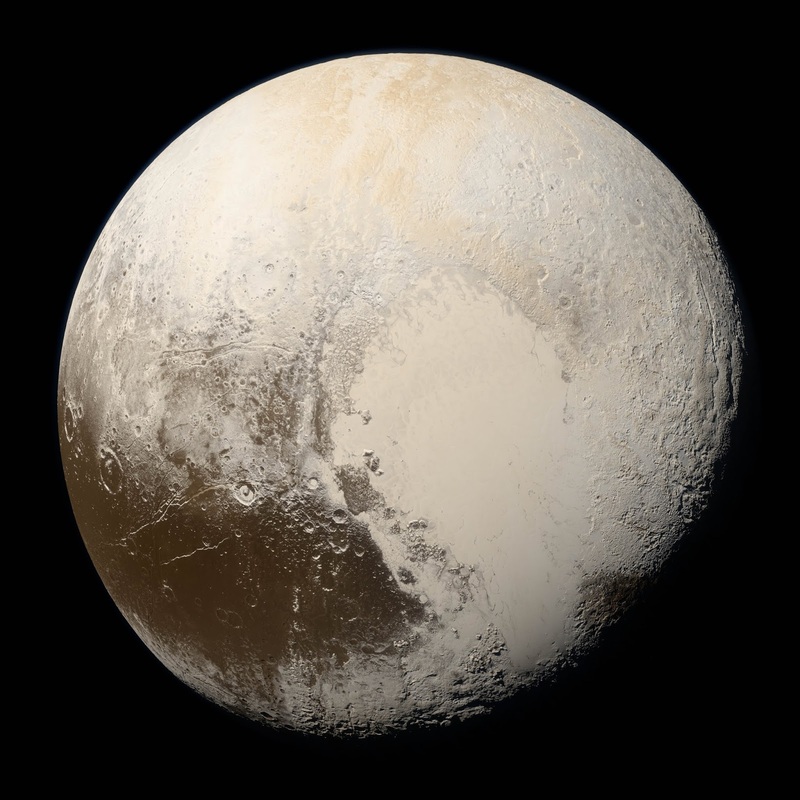 The image of Pluto seen above was taken as the spacecraft approached the dwarf planet on July 14, 2015, from a range of approximately 35,445 kilometres (22,025 miles).